Human Resources Support officer Jacintha Hinds (left), of CIBC FirstCaribbean International Bank, presents cheque to Steel Expressions’ Producer and Artistic Director, Rodney Small. 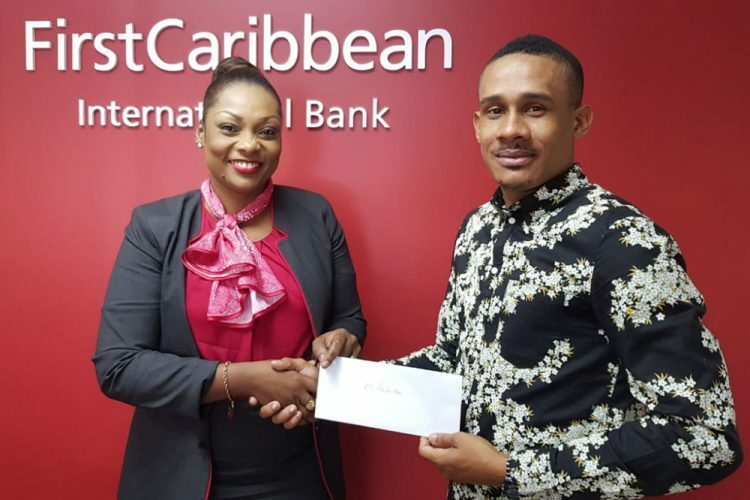 The CIBC First Caribbean International Bank has placed financial support behind Steel Expressions as it presents its Christmas production called Steel Expression – The Epiphany. Steel Expressions’ Producer and Artistic Director, Rodney Small expressed gratitude for the bank’s support stating that “with the financial assistance patrons can expect to be taken on an inspirational, thought-provoking and empowering journey”. “Steel Expressions is very happy for the bank’s support because the financial assistance will not only offset the production costs but more importantly it will go a long way towards our on-going schools’ band development programme. Outside our development programme, we will also be able to donate to the St Vincent Medical Association to assist children living with cancer,” said Small. This is the seventh year of production where Steel Expressions will showcase the talents of young and upcoming artistes alongside regional and international acclaimed artistes to provide Vincentians and visitors with quality entertainment.